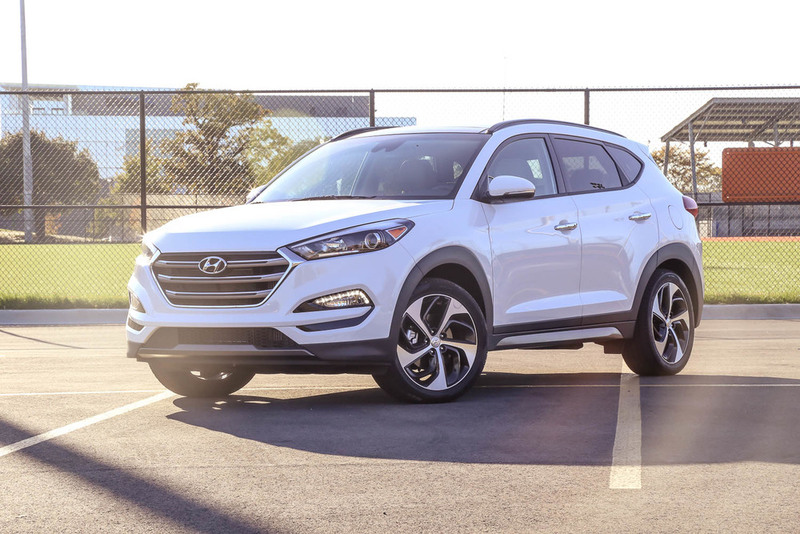 The newly redesigned 2016 Hyundai Tucson is taking the automotive world by storm. I had the opportunity to spend some time with the Limited 1.6t AWD model, and how fun it was. This is a vehicle that has a luxury sport look, good power, many comfort features, convenient size, good gas mileage and most importantly, an affordable price. 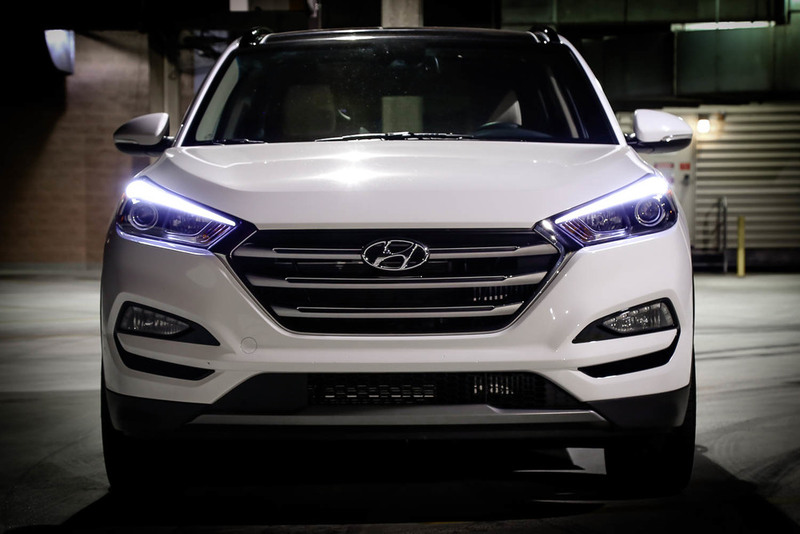 This is Hyundai’s entry level SUV, but don’t mistake that for anything basic. It’s a perfect vehicle for those who would like a little extra room than a sedan but not feel like they are driving a huge truck. The 2016 model is the third generation of Tucson dating back to 2004. Named after Tucson, Arizona this model has been growing in popularity throughout the years thanks to its reliability, comfort, safety, warranty and price. I would dare say this is one of the best warranties in the industry, with a 10 year 100,000 powertrain warranty. Living in a big, heavily populated city with many road obstacles like Chicago, I would say that is an amazing plus to offer on a vehicle that seems made for the city. Hyundai has done a ton of marketing on this new model and of course they should. To me, it goes a long way in making Hyundai’s a household name since there is now so much competition in the small SUV class. 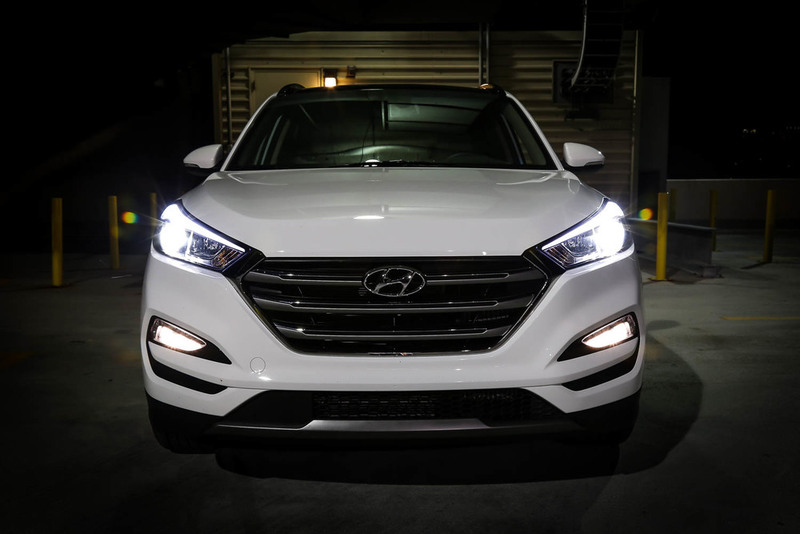 My first impression of the Tucson was awe…this is a stellar vehicle. It really stood out from the rest of the vehicles in my neighborhood. Being a newly redesigned model for 2016, it’s a huge night and day difference from previous years. As only the 3rd generation in 12 years, we should see this model stick around for a while, which I think is great because it seems that many manufacturers tend to change the models every other year. The vehicle just has a luxury look all over it. 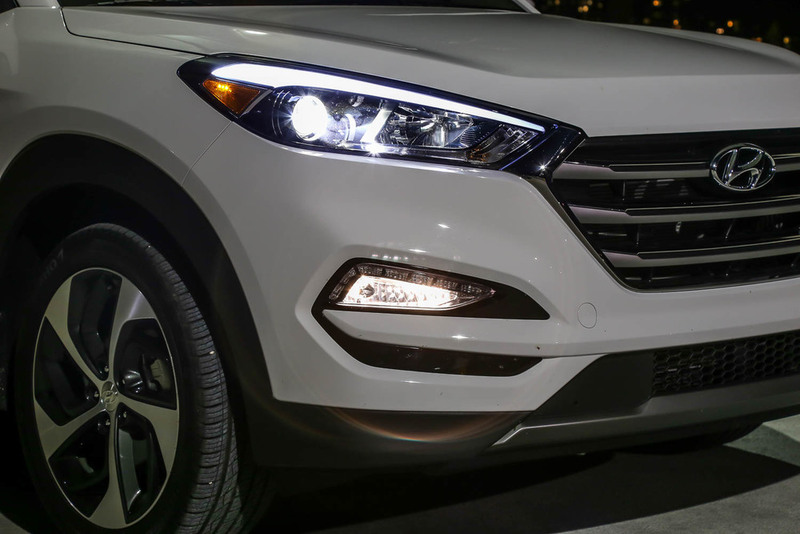 Its sleek projector headlights, wrap around fog lights, and LED day time running lights really give the Tucson a bright appearance. The big grill seems to be a trend around the industry and really adds an aggressive edge. The LED rear taillights are a big plus. Great safety feature for those following you by making sure they are bright enough for day and nighttime. The bumper is not huge, but flows well with the rest of the vehicle and includes two good size reflectors on the corners. As I walked around the Tucson, I felt the size was larger than I was expecting, but still a perfect size for a small SUV. The 19” alloy wheels and dual chrome exhaust finished the exterior nicely. Having previously reviewed other Hyundai models, I wasn’t expecting too many interior differences. This model was the fully loaded Limited edition, so it was equipped with all the bells and whistles you would want. I am a big fan of all the features Hyundai offers in most of their vehicles, and this one continues in offering everything you need - dual climate control, push start, massive panoramic roof, heated and cool front seats, convenient settings for drivers, dual stitching on the dash with slight padding and steering wheel that offers all your basic needs while driving. Despite being an entry level model, there is no entry level feel whatsoever. Everything just flows from my perspective sitting in the driver seat. A 5” touch screen is standard but the limited offers an incredible 8” touch screen. As an added bonus to your passengers, the rear seats are also heated. The main thing I wanted to concentrate on for this review was the size of the vehicle. 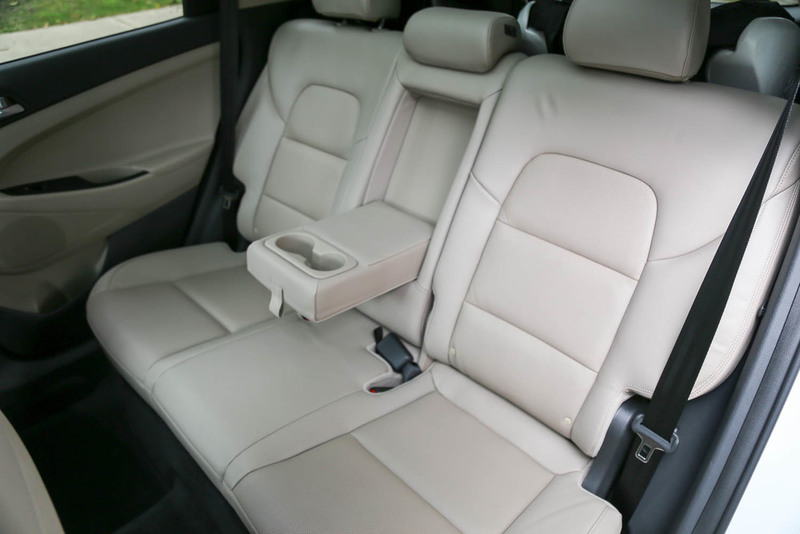 I have tested out small SUV’s in the past and have noticed that it gets a little cramped, especially since both my wife and I are pretty tall we have two kids to think about. Typically, once the toddler and infant car seats are installed, there is not much leg room left for us in the front. Thankfully, this was not the case with the Tucson. I was really comfortable and even had to move the seat forward a bit because there was so much room. At no time did we feel jammed in there or uncomfortable. The massive panoramic roof added to the feeling of a roomy interior, and it’s practically a requirement for any of our future personal vehicles now that my wife and kids have experienced it. The trunk area is decent but here is where you see the size difference from other models. It’s perfect for a couple and one child or furry friend. Plenty of room in that case but when you add a second child, I see a loss of room; there is just a lot of stuff to think about with each added kid. Both seats fold down 60/40 or completely down giving you a little more than 61 cubic feet of cargo room. Living in downtown Chicago, I usually get way below the suggested mpg in the city, but in this case it actually did pretty well. I honestly didn’t think it would being a 1.6L turbo model. I averaged 18mpg and Hyundai advertises 24mpg, but take in consideration that my average speed was barely 15mph. On the highway it did close to what it advertised of 28mpg. The vehicle drove great and had plenty of power to get up and go. I was pleased that it was equipped with blind side sensors and lane departure warning. This is something you mostly see on a higher model. What really surprised me is that it was equipped with brake assist. I found this out by cruising through a parking garage exit and when the gate didn’t fully open, the Tucson immediately stopped for me. Great safety feature especially in a busy congested city. 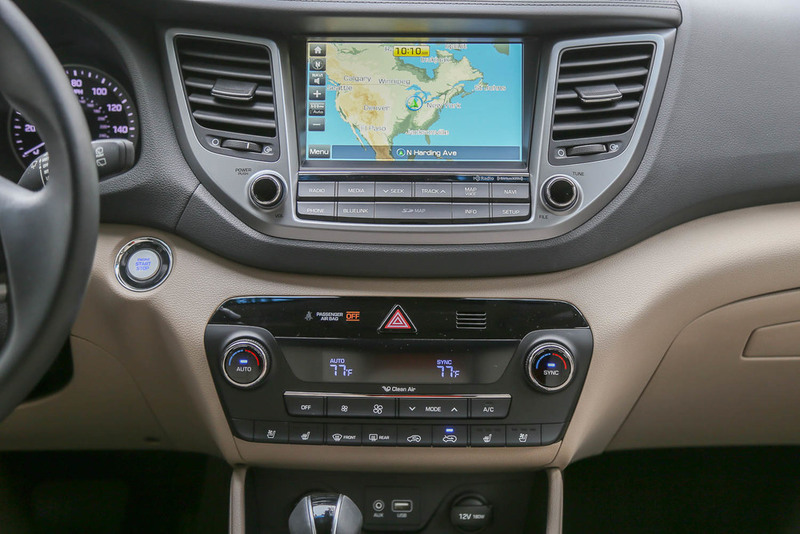 Add in the standard back up camera, and the Tucson has you covered on all sides. The suspension absorbed the great roads Chicago has to offer, potholes and all. When driving on the highway, road noise was at a minimum and the 7 speed dual clutch automatic transmission was really smooth. You couldn’t tell you were shifting unless you were in a heavy acceleration. Click on image to check out the full photo album. Overall I really enjoyed this model. Perfect for a couple or small family. Easy to maneuver around the city and with the standard back up camera, easy to fit in small parking spots. The interior was really roomy, and the ride was smooth and comfortable. Vehicle starts out at $22,700, the one we tested lists at $32,510. Toyota Rav4, Nissan Rogue, Honda CRV & Ford Escape all fall in the same class. 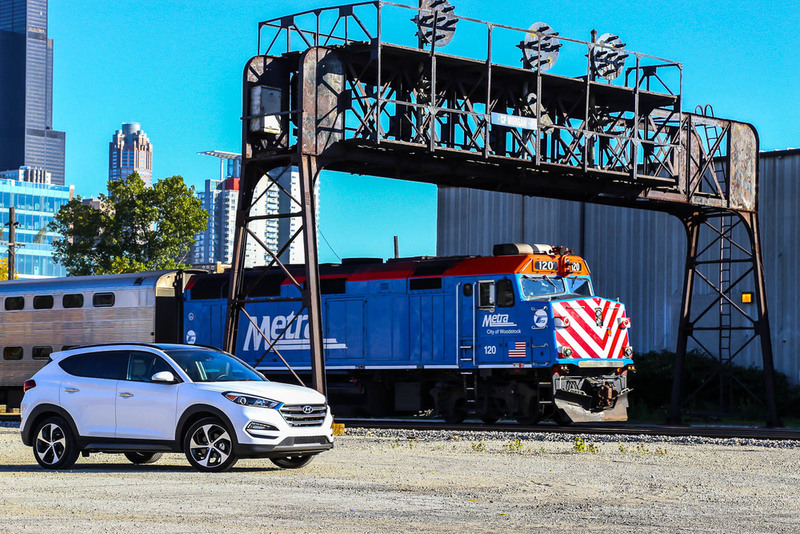 Already the 2016 Hyundai Tucson has won the J.D Power Highest Initial Quality for a Small SUV. Please visit your local Hyundai Dealership and test drive one today. You won’t be disappointed! Would like to thank Hyundai USA for the opportunity to review this vehicle.